Ok ok. The stained glass, the statues, art, craftsmanship. Gottit. This thing was 11th century. Why did "god" let his greatest cathedral burn? Why do any churches burn? Ever? And I thought trump's comments would be the worst I'd see today. What is so bad about the question? Thank you. It's nostalgia, nothing more. 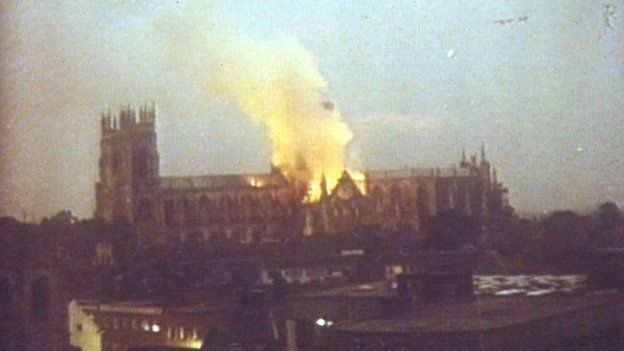 A 1984 fire at England's York catherdral "sparked" a similar discussion. Ask Pascal. Clearly they've chosen the wrong god(s). as opposed to a better cathedral, I'd be OK with that. 2. And I thought trump's comments would be the worst I'd see today. 10. What is so bad about the question? 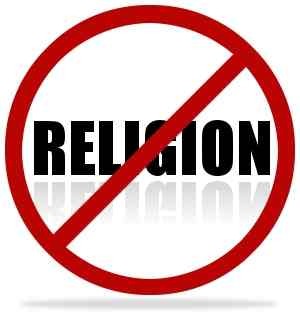 It goes to the heart of the matter of religion. For asking a very simple question? This is gonna blow the minds of some conspiracy inclined religionists. It was difficult to get churches to install lightening rods. And since the church spire was normally the highest point in town, an inordinate number of churches were struck and burned. Reason finally overcame those who saw the lightening as divine judgments on the church for, well, not being churchy enough. 9. Thank you. It's nostalgia, nothing more. Notre Dame is like so many other churches: some nice architecture, some decent art, but full of silly people doing silly things. 12. A 1984 fire at England's York catherdral "sparked" a similar discussion. YORK, England -- A fire believed to have been sparked by lightning gutted part of the medieval York cathedral, causing $1.3 million in damage, but firefighters and priests braved flames to save the Gothic church's 13th century masterpieces. The fire came just days after the controversial Rev. David Jenkins was consecrated as bishop of Durham in the York Minister. Jenkins triggered an uproar when he publicly questioned Anglican church belief in the virgin birth, miracles performed by Jesus Christ and Christ's resurrection. Rev. John Mole, a vicar who shouted protests during Friday's consecration ceremonies, said he thought the wrath of God may be behind the fire that erupted early Monday in the 13th-century gothic church. The Archbishop of Cantebury, Robert Runcie, warned that "individuals should be careful in declaring divine intervention." On 9 July 1984, a fire considered "likely" to have been caused by a lightning strike destroyed the roof in the south transept, and around £2.5 million was spent on repairs. The fire was photographed from just south of the minster in the early hours. This picture was subsequently published showing the South transept alight with a list of North Yorkshire firefighters attending. The stations attending ranged from Scarborough to Harrogate. Huge amounts of water were needed to provide jets at great height to hit the roof timbers and protect the Rose Window. Most of the water was pumped from the Ouse nearby because the water supplies around the minster were inadequate. Fire crews from the main York fire station in Clifford Street worked hard to protect the Rose Window and stop the fire spreading into the tower and organ. Many crews worked for hours and some were on high levels of the minster at the time when the South transept roof fell in, forming a pile of timber covering the whole of the south transept floor to a height of at least six feet. The restoration work was completed in 1988, and included new roof bosses to designs which had won a competition organised by BBC Television's Blue Peter programme. In 2007 renovation began on the east front, including the Great East Window, at an estimated cost of £23 million. God takes the whole week off? 15. Ask Pascal. Clearly they've chosen the wrong god(s).